Maxwell Anderson (1888-1959) was born in Atlantic, Pennsylvania, and educated at the University of North Dakota and Stanford University. He was a schoolteacher and journalist until 1924, when his play, written in collaboration with Laurence Stallings, WHAT PRICE GLORY? was successfully produced in New York City. Anderson, noted for the wide-ranging dramatic style of his 30 produced plays, wrote several historical dramas in blank verse, including ELIZABETH THE QUEEN (1930), MARY OF SCOTLAND (1933), and ANNE OF THE THOUSAND DAYS (1947). He also wrote SATURDAY'S CHILDREN (1927) and THE BAD SEED (1954), as well as the librettos for several musicals, including KNICKERBOCKER HOLIDAY(1938) and LOST IN THE STARS (1949), both with music by Kurt Weill. Anderson was awarded the Pulitzer Prize in drama for BOTH YOUR HOUSES (1933). His verse play WINTERSET (1935), inspired by the 1920s murder trial of two anarchists, known as the Sacco-Vanzetti case, is considered a classic. In 1888, Maxwell Anderson was born; book writer and lyricist of the satirical musical KNICKERBOCKER HOLIDAY. 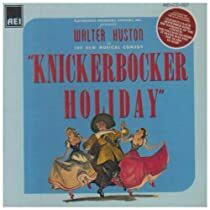 In 1938, KNICKERBOCKER HOLIDAY, a musical comedy set in New York's infancy as a Dutch colony, opened on Broadway at the Ethel Barrymore Theatre. 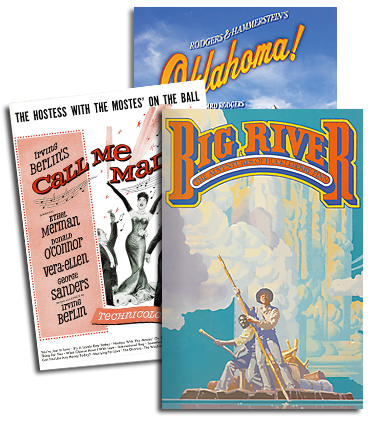 The show later moved to the 46th Street Theatre, and ran for a total of 168 performances. In 1950 LOST IN THE STARS closed after 281 performances on Broadway. It was composer Kurt Weill's final work for the stage.